If you're putting together a family tree and are looking to search military records, these lists are essential for uncovering your ancestry. 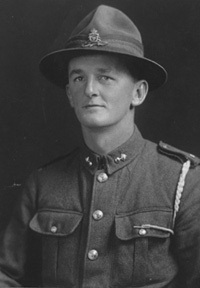 They include any conflict involving Australian and New Zealand armed forces in World War 1, World War 2, The Boer War, and many others - such as The Soudan War and even the New Zealand Maori campaigns. "What information about my ancestors can they provide?" Where they served and fought, and under what ranking. These military records are an invaluable genealogy tool, and often provide the missing link in building your online family tree. Some of them even contain recorded letters from soldiers during battle and some wonderful photos you simply won't find anywhere else. If you think any of your family ancestors spent time in the military, you can't afford not to explore these Australian and New Zealand Armed Forces records. To search these record sets individually, choose a record data set from the left hand of the screen in the "Records In This Collection" menu. The findmypast ANZAC Memory Bank is a special online tribute we've created for our members to share the heroic stories of their ancestors that they've uncovered on findmypast. Read some of these touching tales, and even view images of the brave men and women who represented their country at war.